The grip of Majlis-e-ittehadul Muslimeen on the community remains strong, With a Member representing Hyderabad in the Lok Sabha, five members in the Andhra Pradesh Assembly, 40 corporators in Hyderabad and 95-plus members elected to various municipal bodies in Andhra Pradesh, the All-India Majlis-e-Ittehadul Muslimeen is one of the foremost representatives of the States Muslims and the most powerful Muslim party in India and one can see the party’s strength if he goes to Hyderabad and Parts of Muslim Dominated Villages of Andhra Pradesh .Everywhere u look u can see MIM written on walls ,light poles and buildings besides green flags and posters of there Leaders fluttering over there small Offices .The Majlis has brought a lot of development to the Old parts of the city even though its opponents who are mostly Ex Majlis workers. Keep harping that nothing has been done. The Majlis was formed in 1927 “for educational and social upliftment of Muslims”. But it articulated the position that “the ruler and throne (Nizam) are symbols of the political and cultural rights of the Muslim community… (And) this status must continue forever”. The Majlis pitted itself against the Andhra Mahasabha and the communists who questioned the feudal order that sustained the Nizam’s rule. It also bitterly opposed the Arya Samaj, which gave social and cultural expression to the aspirations of the urban Hindu population in the Hyderabad State of those days. In the year 1927 the Ulema, Mashaikeen and Mouzzizeen of all sections of Muslim community of Hyderabad had formed a party called “Ittehaad Bainul Muslimeen”. This party’s 3rd president Nawab Mohammad Bahadur Khan (Khaid-E-Millat) changed the party’s name to “Mumlikat-E-Majlis-E-Ittehadul Muslimeen”. In the year 1948 the police action took place during that movement the 6th president of the party was Moulana Khasim Razvi Sahab.By the mid-1940s, the Majlis had come to represent the Muslim minority as a united front The opponents regarded it as remarkably aggressive and a violent face of Muslim militancy as it organized the razakars (volunteers) to defend the “independence” of this “Muslim” State from merger with the Indian Union. 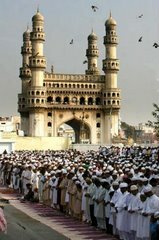 According to historians, over 1,50,000 such `volunteers’ were organized by the Majlis for the Nizam State’s defense but and according to them again they are remembered for unleashing unparalleled violence against Hindus and the communists and all those who opposed the Nizam’s “go it alone” policy. It is estimated that during the height of the razakar `agitation’, over 30,000 people had taken shelter in the Secunderabad cantonment alone to protect themselves from these `volunteers’and on the other hand thousands of Muslims were killed by the Indian Army. But the razakars could do little against the Indian Army. Moulana Khasim Razvi Sahab was arrested and was sent to Poona Jail and the organization banned in 1948. In the year 1957 he was released on the basis that he must leave India and go to Pakistan. Before going to Pakistan he offered several people to take over the charge of Presidentship of the “Mumlikat-E-Majlis-E-Ittehadul Muslimeen” party, but no one came forward to accept. Moulana Razvi Sahab then called Moulana Abdul Wahed Owaisi a famous lawyer and an Islamic scholar from Jamia Nizamia and nominated him as the President of “Mumlikat-E-Majlis-E-Ittehadul Muslimeen” party. Those were the days when the massacre of the Muslims by the Indian army was still fresh in the minds days and there was a fear in the Muslim community to come forward and put a voice for the uplitfment of Muslims When Moulana Abdul Wahed Owaisi became the president to “Mumlikat-E-Majlis-E-Ittehadul Muslimeen” party, the then govt wanted to abolish the Majlis party but Moulana Abdul Wahid Owaisi refused to do so and was seen as a person who financially supported the party when it was bankrupt and weak after the Police Action in Hyderabad. Abdul Wahid Owaisi is also credited with having “re-written” the Majlis' constitution according to the provisions in the Indian Constitution and “the realities of Muslim minority in independent India”. He fought the legal case for winning back Darussalam, the MiM headquarters. For years he conducted public meetings and Muslims who were in fear started to trickle in to attend these public meetings .These public meetings became such a success that lakhs of Muslims came from all over the state to attend them. On 2nd March 1958 in a grand public meeting Moulana Abdul Wahed Owaisi declared an amendment in the Party’s manifesto that he has changed the name of the Party to “Kul Hind Majlis – E – Ittehadul Muslimeen” in accordance with the constitution of India. After this the Central and State Governemnt arrested Moulana Abdul Wahed Owaisi on 14th September 1958 and sent him to Chanchalguda Jail. Before he was sent to jail Moulana Abdul Wahed Owaisi nominated Sultan Salahuddin Owaisi as the acting president of the “Kul Hind Majlis – E – Ittehadul Muslimeen” party. Sultan Salahuddin Owaisi on the path of earlier the president also conducted public meetings for about 11 months and carried out the working of the party. After 11 months the Government released Moulana Abdul Wahed Owaisi unconditionally. According to a former journalist, Chander Srivastava, for the first decade-and-a-half after this “reinvention”, the Majlis remained, at best, a marginal player in Hyderabad politics and even though every election saw a rise in its vote bank, it could not win more than one Assembly seat. The 1970's saw an upswing in Majlis’ political fortunes. In 1969, it won back its party headquarters, Dar-us-Salaam — a sprawling 4.5-acre compound in the heart of the New City. It also won compensation which was used to set up an ITI on the premises and a women’s degree college in Nizamabad town. In 1976, Salahuddin Owaisi again became the working president of the A.I.M.I.M after his father’s demise and was also jailed various times for his political views etc. At that time there were bye elections being conducted in the two municipal divisions. It was for the first time that A.I.M.I.M had participated in the bye elections to the two municipal divisions and it won both the seats. In the Election to the Hyderabad Municipal Corporation the A.I.M.I.M also won the majority of seats. After securing the majority in the Hyderabad Municipal Corporation the Government has merged the Secunderabad and Hyderabad Municipalities, due to which the A.I.M.I.M instead of being the ruling party emerged as the first opposition party. At that time Sultan Salahuddin Owaisi was the floor leader of A.I.M.I.M party in the Corporation. In the year 1962 – 84 Janab Sultan Salahuddin Owaisi was continuously elected as the M.L.A from A.I.M.I.M party. This started an important phase in the history of the Majlis as it continued expanding its educational institutions, Hospitals, Banks, including the first Muslim minority Engineering College and Medical College. Courses in MBA, MCA, Nursing, Pharmacy and other professional degrees followed now by a daily newspaper known as Etemaad Daily. The 1970s were also a watershed in Majlis’ history as after a long period of 31 years, Hyderabad witnessed large-scale communal rioting in 1979. The Majlis came to the forefront in “defending” Muslim life and property Majlis workers could be seen at these moments defending the properties of Muslims in the wake of riots and these workers were very hard even for the police to control them ,even now it is a known fact that there are nearly 4500 units of strong members who only act if there is a serious threat to the Owaisi family and these members are under the direct orders of the Owaisi family which leads the Majlis party leaving aside thousands of workers and informers throughout the State and even outside the country far away till America and the Gulf countries.Salahuddin Owaisi, also known as “Salar-e-Millat” (commander of the community), has repeatedly alleged in his speeches that the Indian state has “abandoned” the Muslims to their fate. Therefore, “Muslims should stand on their own feet, rather than look to the State for help'’.He argues. This policy has been an unambiguous success in leveraging the Majlis today to its position of being practically the “sole spokesman” of the Muslims in Hyderabad and its environs. Voting figures show this clearly. 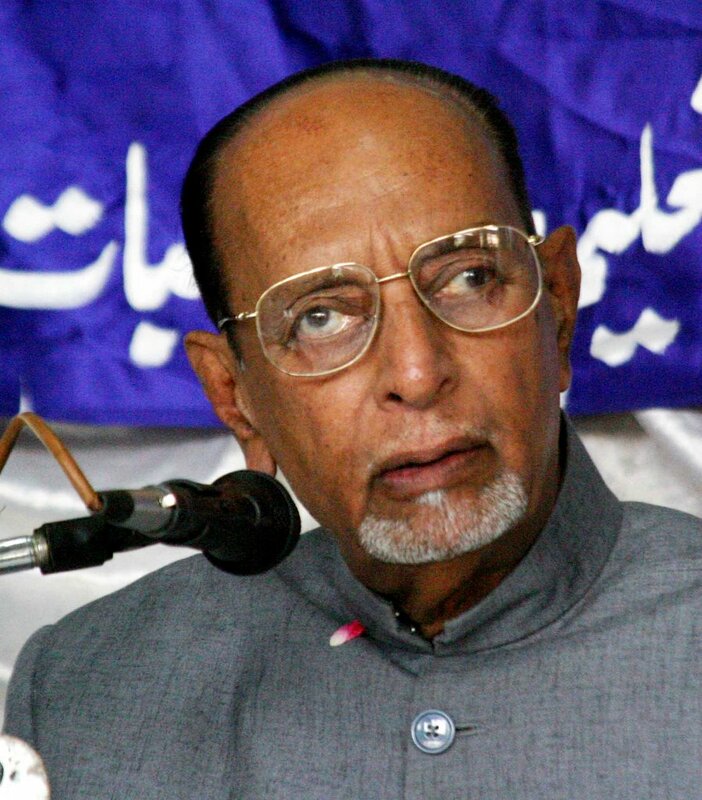 From 58,000 votes in the 1962 Lok Sabha elections for the Hyderabad seat, Majlis votes rose to 1, 12,000 in 1980. The clear articulation of this “stand on one’s feet” policy in education and `protection’ during riots doubled its vote-share by 1984. Salahuddin Owaisi won the seat for the first time, polling 2.22 lakh votes. This vote-share doubled in the 1989 Lok Sabha elections to over four lakhs.The Majlis has since continued its hold on the Hyderabad seat winning about five-and-a-half lakh votes each time. Despite remarkable economic prosperity and negligible communal violence in the past decade, the hold of the Majlis on the Muslims of Hyderabad remains, despite minor dents. And despite widespread allegations of Majlis leaders having “made money”, most ordinary Muslims continue to support them because, as one bank executive put it “they represent our issues clearly and unambiguously'’. An old Historian Bakhtiyar khan says the Owaisi family was a rich family even before entering Politics and he says he had seen the late Majlis leader Abdul Wahed Owaisi in an American Buick car at a time when rarely cars were seen on Hyderabad Roads and the family had strong relations with the erstwhile Nizams of Hyderabad and the Paighs even now the family is considered to be one of the richest families in Hyderabad. A university teacher says that the Majlis helped Muslims live with dignity and security at a time when they were under attack and even took the fear out of them after the Police action and adds that he has seen Majlis leaders in the front at times confronting with the Police and the Govt. Asaduddin Owaisi, the articulate UK educated barrister from Lincolns Inn College son of Salahuddin Owaisi and Former leader of the Majlis’ Legislature party and now an MP himself who has traveled across the globe meeting world leaders and organizations and even in war zones compares the Majlis to the Black Power movement of America. The Majlis that emerged after 1957 is a completely different entity from its pre-independence edition; he says adding that comparisons with that bloody past are “misleading and mischievous”. “That Majlis was fighting for state power, while we have no such ambitions or illusions”. He stoutly defends the need for “an independent political voice” for the minorities, which is willing to defend them and project their issues “firmly”. “How can an independent articulation of minority interests and aspirations be termed communal,” he asks and contests any definition of democracy which questions the loyalty of minorities if they assert their independent political identity. “We are a threat not only to the BJP and Hindu communalism, but also to Muslim extremism,” Asaduddin claims. “By providing a legitimate political vent for Muslims to voice their aspirations and fears, we are preventing the rise of political extremism and religious obscurantism when the community is under unprecedented attack from Hindu communalists and the state'’. He can be seen in his speeches speaking against terrorism in the Country and says if the time arises Majlis will stand side by side in defending the Nation and Recently Majlis e ittehadul Muslimeen MP Asaduddin Owaisi has Visited Lebanon after the war with Israel and met the leaders of the resistance group Hezbollah and has even visited Muslims throughout India especially in Gujarat, Bombay, Malegaon and represented there issues to the Government of India and in Parliament. Asaduddin Owaisis younger brother Akbaruddin Owaisi is now the Leader of the Majlis' Legislature Party in the State Assembly and is also considered to be a good orator and Crowd Puller for the Party. Just to let you know, I'm deleting your broken English comment written in all capital letters that you posted to an old post in my archives. If you feel like commenting, feel free to write something using normal English spelling, capitalization, paragraphing, and sentence structure. Also, please try to keep your comments on topic. I fail to see how a current visit of an Indian Muslim to Lebanon has anything to do with a story of the American Presbyterian Church's decision on their divestment policy from a year ago. Be safe & Be well. 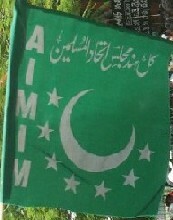 MIM has ceased to be a party for the downtrodden muslims. One can clearly judge by the life of muslim in the oldcity . Why do we see a 'chotu' working as a adjunct to a mechanic.Why ? Clearly Saichan committee is just the tip of an iceberg . What has MIM done for social upliftment of a downtrodden.It runs professional college only to sell the education to the elite and rich muslims. we will assasinate king saud of arabia..
you muslims think only you know how to suicide bomb..